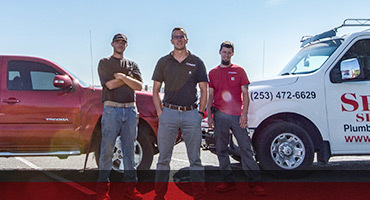 Since 1958, Spartan Services has been the first choice for plumbing services for the people of Tacoma and the Southern Puget Sound area. No matter the size of the job or complexity, our team of highly trained professionals always arrives ready to identify and resolve the problem. We’re knowledgeable about a wide variety of plumbing systems, and arrive prepared with the right tools and highest quality parts. Whole House Repiping – The piping in your home or office is supposed to last, but it won’t last forever. If you live or work in an older building, you might have pipes that are wearing down. They’ll be prone to leaks, breaks, and can become congested with mineral deposits. 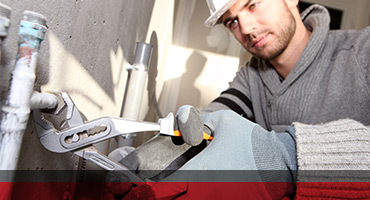 Whether you need a few bad pipes replaced or whole house repiping, it’s a job that’s best left to the professionals. We’ll provide a free estimate, make sure your water service works for most of the time we’re there, and minimize the intrusion on your work or home life. Water Heater Repairs and Replacement – Your water heater is an incredibly sturdy piece of equipment; it has to be, considering it’s used multiple times during the day and every day of the year. Yet it won’t last forever, and they’re designed to have an operational lifespan of 15-20 years. If your water heater needs frequent repairs, can’t handle the demand placed upon it by your family, or it’s simply getting old, give us a call today. 24/7 Service – Most of the time, when something goes wrong, it doesn’t happen when it’s convenient. A pipe bursts three minutes before you need to leave for work, the water heater starts acting up in the middle of the night, or a bathtub drain clogs up on a holiday weekend. We understand that life happens while you’re making other plans, which is why we’re available 24 hours a day, seven days a week, and 365 days a year. The fact is, the job isn’t complete until our client says it is. 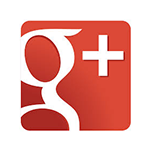 We’re so confident you’ll love your experience with us that we offer a guarantee on our parts and labor. If there’s a problem, we’ll correct it. If there’s a question, we’ll answer it. We’ll do it all, and we’ll do it with a smile.